Sorry Daniel, but I disagree. First, if your sales force is unable to follow up with all the leads you’re generating for them, the solution is NOT (I would argue) to generate fewer leads. The better option is to put in place a lead qualification process, either through marketing automation or inside sales or both, a process that profiles, filters, and qualifies leads to determine which are truly sales-ready. Secondly, shorter forms don’t necessarily generate lower-quality leads. It is correct (as Daniel argues) that longer forms may generate higher quality leads on average because those individuals are more motivated. But that doesn’t mean the opposite is automatically true. Some qualified leads may be just as turned off by a long form as their less-qualified peers, so by dialing up friction you risk losing perfectly sales-ready leads. And furthermore, so what if some prospects aren’t yet ready to buy? I’ve written previously in this space why designing demand generation programs to generate only sales-ready leads is a bad idea. I’d argue that landing page friction (a concept that I find really useful, by the way) should always be at an absolute minimum. Why take the chance at eliminating leads that are already, in essence, paid for, by making the registration form more difficult than it needs to be? 1. Make registration forms as short and simple as possible. 3. 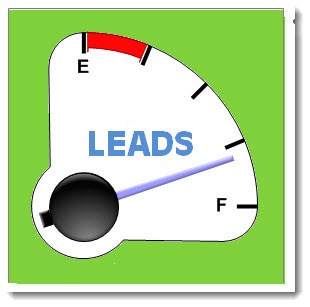 Put in place a systematic process of lead qualification to filter, profile, and qualify leads. 4. Consider data services like InsideView to append profile information like job title, company size, industry, or location. 5. Define specific criteria (or a lead score threshold) to determine when a lead gets passed to sales. 6. Enter all non-sales-ready leads into a robust system of lead nurturing to further educate, cultivate, and profile those contacts until the point at which they merit sales attention. This entry was posted in B2B Marketing, Campaign Strategy, Landing Page Optimization, Landing Pages, lead generation, Lead Management, Lead Nurturing, Marketing Automation and tagged daniel burstein, inside sales, landing page design, landing page optimization, Lead Management, lead qualification, Marketing Automation, marketing experiments on September 4, 2012 by Howard Sewell. Thanks for a great post Howard. Here are my thoughts. 2. You’re right, shorter forms don’t necessarily generate lower-quality leads. But they do tend to generate a larger amount of leads than a longer form, and in that volume, there are certainly many lower-quality, and certainly less motivated, leads. And for marketers who don’t have a ULD in place (as you can see from the link above, according to our research, an astounding 61% of B2B marketers admit to sending “leads” directly to Sales without qualification), having a better understanding of landing page friction is a way (certainly not the only way) to more profitably generate leads. In the end, the biggest point I was trying to make with the blog post is, “But you don’t have to be locked into only one approach.” Getting someone, even many people, to fill out a lead form is not a sure path to profitable lead generation. So I wanted to challenge marketers’ lead generation assumptions. Thanks for helping me do that. As you rightly point out, lead qualification is a path down that road. Interesting point about how long forms may be turning away good prospects. Hubspot, for example, repeatedly makes me fill out a vary long form every time I want to download an ebook.